Last week, hundreds of thousands of teenagers in England, Northern Ireland and Wales received their AS and A Level results. Despite a marginal fall in A* and A grades for the fifth year running, there have been a record number of places offered at UK universities. Indeed, the UCAS clearing service have confirmed that 424,000 places have been offered to UK students, a figure that is up by 3% on last year’s results. If you happen to have been unlucky enough not to get the grades you were aiming for, the impact upon your intended career and indeed on the rest of your life can be significant. These grades can determine the job you now take or which university you’re able to attend. In either case, poor results could make a world of difference. Although it can be a very upsetting time for students whose grades are not what they were expecting, it’s important to remember that it’s not the end of the world – there are still options. The first is challenging your results. If you feel that your poor examination results were affected adversely by circumstances beyond your control, you must appeal immediately to the Joint Council for Qualifications (JCQ). Before you do so, it is imperative that you collect together any evidence that will support your claim. These are known as special consideration requests and must be made to the JCQ by the school or college you attend as soon as possible after the result is received. Each examining board will have more detailed guidance on EARs. If you have launched a special considerations challenge or an EAR enquiry and the outcome of that challenge has not gone your way, all is not lost. You can still appeal that outcome as long as you do so within two weeks. Although you might not have gained grades you were hoping for, you could still pursue other options, such as re-sits, deferral, appeal directly to the university at which you have a conditional place, or clearing via UCAS, which can help you find an alternative course of study. Should you seek to challenge your results, it is crucially important that you prepare your case and any evidence you have diligently. Match Solicitors have a dedicated team of education specialists trained to help you in exactly these kinds of situation. 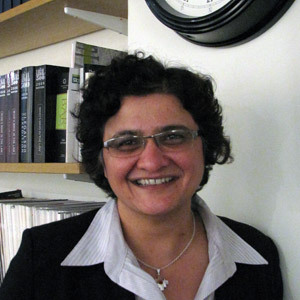 Salima Mawji is a director at Education Law specialists Match Solicitors, recognised as one of the UK’s leading lawyers in further and higher education. Described in Chambers UK as “very effective”, she has a very high success rate in internal university appeals. Salima regularly speaks at high-profile events and is a commentator for national media, most recently appearing on ITV’s Exposure: Undercover Colleges. Will Greek Cypriots’ Güzelyurt/Morphou demands wreck the Talks? Can schools still fine parents for taking their children on holiday during term-time?